Mher Mkrtchyan was one of the greatest Armenian actors of the Soviet period. Son of survivors of the Armenian Genocide, he was born in Leninakan (nowadays Gumri) on July 4, 1930. His actual given name was Frunze, for which he was also known as “Frunzik,” but he later took the name Mher. His father wanted him to become a painter, but he started playing in the theatrical group of the textile factory of the town, which was next door to their home. He studied in the Art College and Theatre Studio of the city from 1945-1946, and then he played in the permanent group of the Mravian Theatre. He performed in a dozen of plays, and showed his maturity despite his young age. He then moved to Yerevan, where he was accepted straight into the second year of the Acting Department of the Institute of Fine Arts and Theatre. He graduated in 1953 and he immediately started performing in the Sundukyan Academic Drama Theatre of Yerevan. He also directed many successful productions. Among other honors, the actor won the USSR State Prize in 1978 and was also honored with the title of People’s Artist of the Armenian SSR. 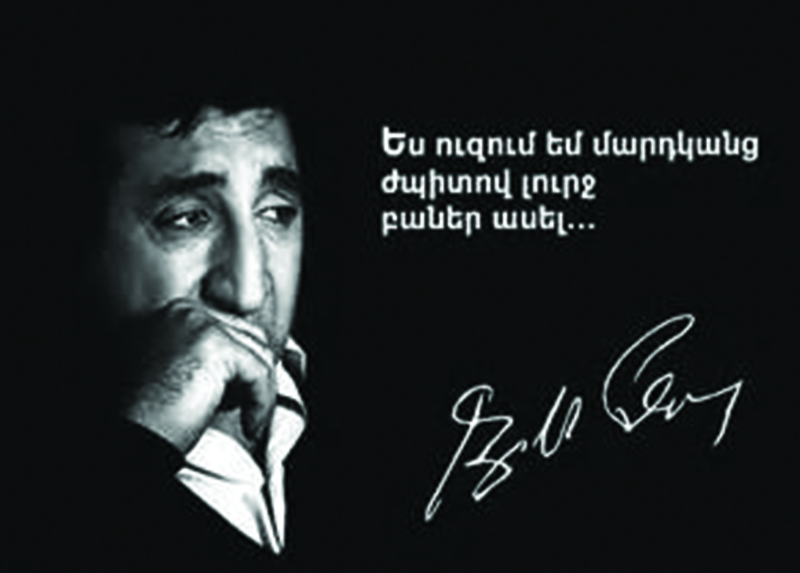 Mher Mkrtchyan passed away at the age of 63 on December 29, 1993 in Yerevan. Thousands of people attended the funeral of their beloved actor. He was buried at the Komitas Pantheon. A museum remembers him in his birthplace Gumri and the Tekeyan Cultural Association of New York-New Jersey named its theater group after him.